Depending on your previous qualifications, you could opt to study either an Extended Diploma, Diploma or Subsidiary Diploma in Events Management. For more information on Level 3 Diplomas visit our choosing the right course for you page. You can find out more about each study option using the tabs below. Want to learn how to co-ordinate and manage a whole host of events? Through a variety of project-based tasks on and off campus, you’ll see first-hand what it takes to plan, organise and manage major events and shows. There will be plenty of opportunities to test out your entrepreneurial and organisational skills, including planning and running your own event at Reaseheath and helping at international events. “I compete my own horse and I’ve always been interested in how events are run. 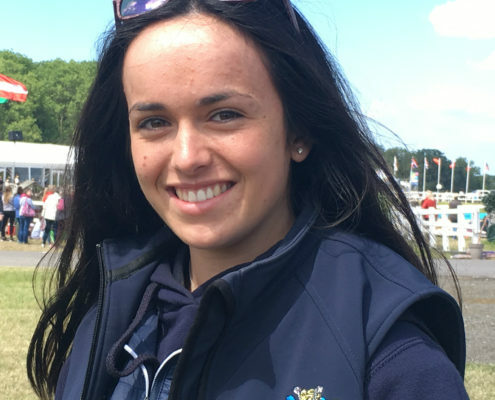 I did my work experience in the event office at Bolesworth International and then I volunteered at the five day show to gain extra practical experience. “I was also on the front desk at a Christmas Fayre which I helped to run at college. It was nice to welcome in so many visitors.